Video killed the radio star well before the Internet was a fixture of our lives, and now the homicidal egomaniac is eager to take down any rival online media. The volume, variety, and easy access, all lift video into the brightest spotlight. Video is more fun than ever, and startup Vidinterest wants to maximize both personal and social enjoyment. 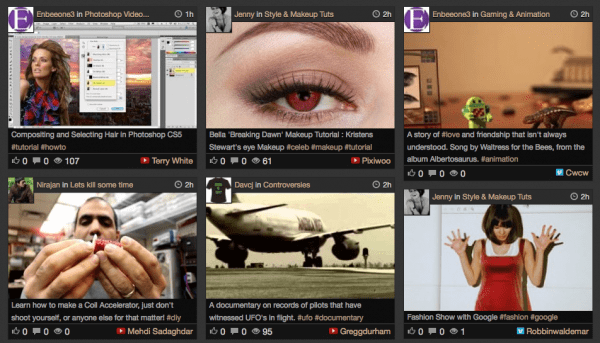 Vidinterest is a video discovery platform. Members can share and discover videos, build playlists, or simply surf within this community of visual stimulation. Think of Vidinterest as a friendly filter for finding quality, engaging videos out of the vast sea of options. Click over video tiles to link to original source pages on familiar sites such as YouTube, Vimeo, and Dailymotion. Or install the the Vidmarklet into your browser and upload all your favorite videos directly into a Vidinterest account. Share playlists of any theme throughout the Vidinterest community and get to know others with similar or interesting tastes. Videos also can be added via any webpages / blogs where there are embedded videos from supported sites, using Vidmarklet. An abundance of skills valuable to startups can now be learned through video. Either complete courses or quick instructional videos teach everything from coding to photoshop. Instead of paying for some one else to get the job done, thrifty entrepreneurs can study up and build what’s missing themselves. Not to mention, it may soon be obligatory to have an explainer video to introduce visitors to companies of any variety. Never hurts to see what the other guy is doing. Vidinterest offers a number of How to and tutorial videos to help entrepreneurs stay on top of their game. Vidinterest is the creation of Surfmandu Pvt. Ltd, based in Nepal. 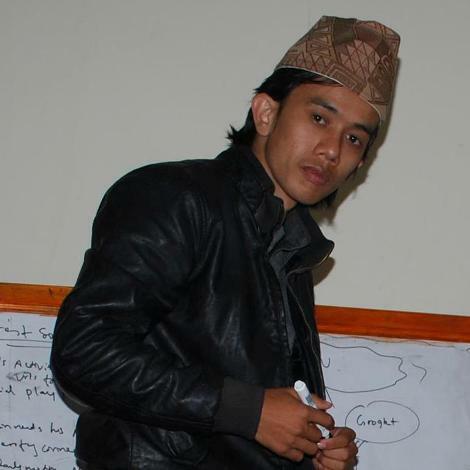 Still in his early twenties, Nirajan Bom Malla is the founder and CEO of both companies as well EnBeeOne3. Follow this budding tech enthusiast and business developer on Twitter or Facebook. For more information on Vidinterest, visit here.